Business Hours From 7 am - 7 pm for Residential Homes. We Guarantee The Highest Level Customer Service And Advanced Professionalism For All Your Plumbing Needs Including: Drain Rooter, Sewer Rooter & Rooter Service! When you hire an Express Plumbing & Rooter specialist, you’re assured quality service from a professional. View our services today to get started! 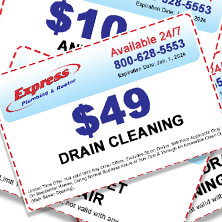 From drain cleanings to sewer camera inspection, get started today with one of our special offers! You will not be disappointed! When an Express Plumbing & Rooter technician comes to your home, you can feel confident knowing he/she is the most experienced and best-qualified. Our clients are our family and our top priority. Read some of our client testimonials and get started today! We Guarantee The Highest Level Customer Service and Advanced Professionalism for All Your Plumbing Needs, Including Drain Rooter, Sewer Rooter, and Rooter Service! Welcome to Express Plumbing & Rooter – the most trusted plumbing professional company in Los Angeles. 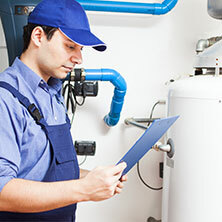 When plumbing problems occur in your home, you need a plumber you can trust. For nearly 20 years, Express Plumbing & Rooter has faithfully provided plumbing services in the greater Los Angeles area. 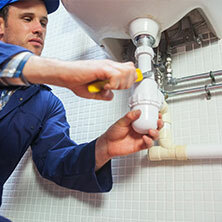 Our team of licensed and highly trained plumbing professionals is fast, efficient, and can handle just about any job. Big or small, from minor repairs to major renovations, Express Plumbing & Rooter does it all. When you hire an Express plumber, you’re assured quality service from a consummate professional. We’re prepared to stand behind our work and guarantee excellent service and 100% customer satisfaction. For the finest Los Angeles plumbing contractors, call Express Plumbing & Rooter today.